ESTATE PLANNING is the formation of documentation to maintain and effectively control your financial and health care security. Our clients usually have specialized legal needs because their estates are generally complicated and diverse, due to the current growth in investment products, increased job mobility, and children and parental necessities. We provide legal excellence in Estate Planning services to help your estate avoid probate costs and simplify the process regarding your financial estate for your family. In addition to saving time and money after your death, a properly established estate plan will provide clear and concise directions regarding your financial estate and health issues during your lifetime. Estate planning documents may include a will, trusts, powers of appointment, and powers of attorney, including the durable financial power of attorney, the durable medical power of attorney, and a living will. Because some of our clients have elderly parents faced with difficult, long-term care challenges, we provide legal excellence in Elder Law services, which are combined with traditional Estate Planning services. 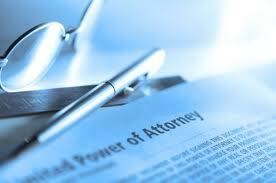 These legal services include planning ahead for all available support resources, like Social Security and Veterans benefits, Medicare and Medicaid coverage, nursing-home care, in-home care, and other legal matters of particular concern to them to ensure cost-efficient eligibility for long-term care.